Visa & SSLCOMMERZ is presenting huge discounts on online payment using SSLCOMMERZ payment gateway with Visa cards. Campaign Duration: September 05 to October 06, 2017. What is the duration of this offer? If you have a Visa card, you can enjoy the offer according to the terms and conditions of the campaign. 3. Which gateway is applicable for the transaction for this campaign? 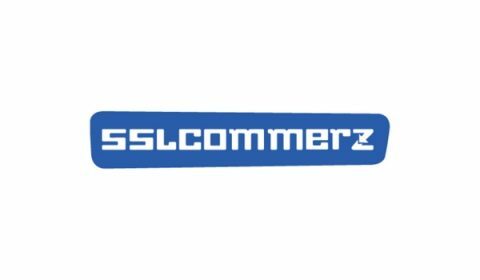 SSLCOMMERZ Payment Gateway is applicable for the campaign. 4. Which payment channels are allowed for this campaign? Any Visa card is allowed for this campaign. 5. Will everyone get this discount? Only Visa cardholders will get this discount. 6. How many times I can get avail the offers during the campaign period? 7. When will I receive the cash back amount after making payment? You can avail the offers as many times as you make payments except for Easy.com.bd. In Easy any single mobile number can enjoy the 5% extra bonus only twice during the campaign period. 8. When will I receive the cash back amount after making payment? Your cash back amount will be processed within 20 days after making a successful payment, however reimbursement is dependent on your Issuer Bank. 9. How can I enjoy the 5% Extra offer on Easy.com.bd? Register at Easy.com.bd through the Sign Up form at https://easy.com.bd/signup.php. Post this, you can purchase airtime recharge on Easy.com.bd using your Visa debit or credit card. Upon a successful transaction, you will get additional 5% value on your recharge. For instance- if you recharge for 100 TK on your prepaid connection using your Visa debit/credit card, you get a talktime of 105 TK. In case of postpaid connection/bill payment, an additional 5% will be credited to your mobile account and this amount will be adjusted in your next bill. 10. Will I receive discount if my payment is successful? If your payment is valid and SSLCOMMERZ recognizes the transaction as authentic, you will receive discount depending on the terms and conditions of the campaign. Otherwise, SSLCOMMERZ reserves the right to cancel the discount.